That's right! Kreative Design Studio is on SALE at 50% off. You can finally check out your basket for our final sale of the year. Even our newest templates are in the promotion. Circlicious templates are our newest edition in the Etsy shop. In usual Cherry fashion, these templates are awesomely versatile. 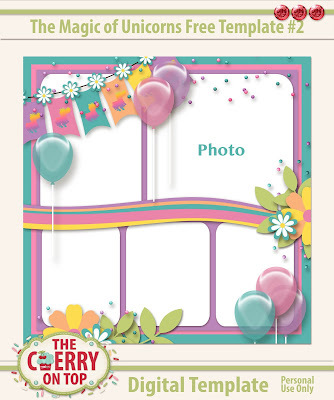 Use them for any theme, subject matter or photos you have in mind. Balanced, layered and clustered up to perfection. Your pages are going to be gorgeous! Check out the awesome pages from myself and my amazingly talented Creative Team. Tammy is an absolute star. Just look at her fabulous page. I've got the kit and designer names at the bottom of each image, if you are interested. 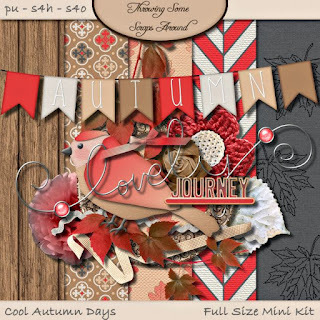 Jodi from Throwing Some Scraps Around is working her magic with our new templates and her new collection, Autumn Joys. I'm loving all of this texture. Aren't you?! I just can't stay away from Paty Greif's collections. They are beyond fabulous. This one is a bit older, but it's so fab. A touch of whimsy and imagination makes for one sensational page. 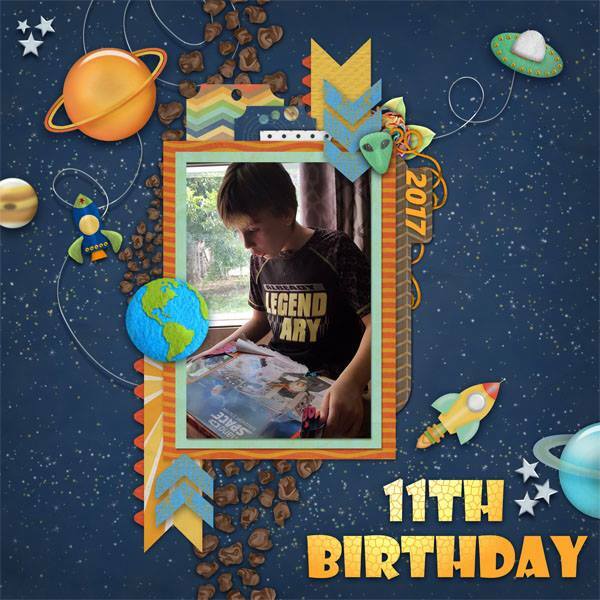 That's my oldest 10 years ago. He never used to sleep in the car. These are probably the only two times he did. Hehehe...Even on our two day trips to Spain, he doesn't sleep! 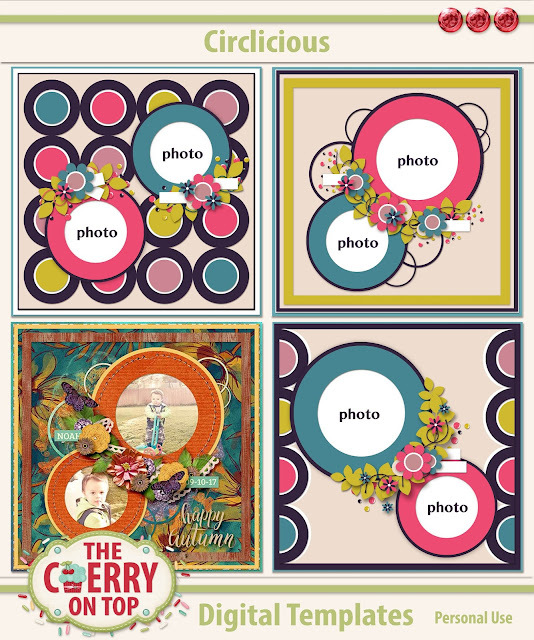 Check out how we've used the Circlicious templates. Tammy showed off several of her designers beautiful papers in the individual circles, while I used the same one in mine. It makes it look a bit less busy if you have paper that doesn't well blend well. Tammy's papers blend magically so it totally works for that page. 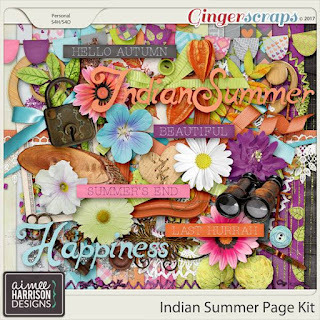 I'm using Aimee Harrison's new collection, Indian Summer. 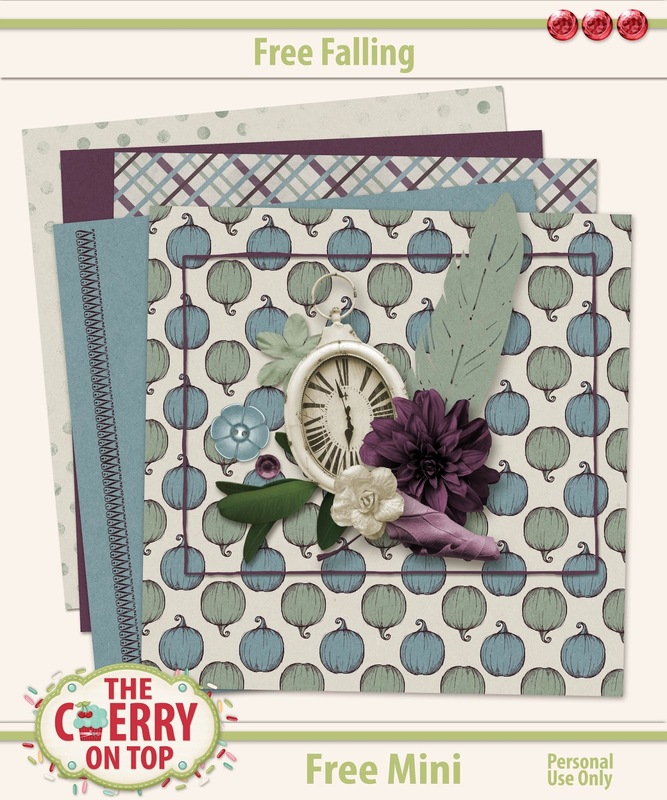 I was all over these gorgeous colours and Aimee is definitely a top paper maker so I knew her collection would work with my templates. I like this pop of black with the bright and Aimee's word art is SO awesome. I used it as an embellishment for this cluster. 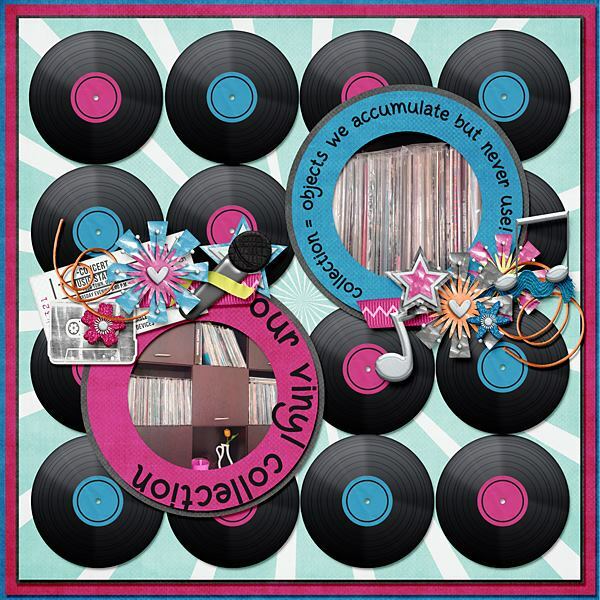 Cindy did use the record concept on her fabulous page and colours definitely top it off. What a super looking kit, too. A great combination! 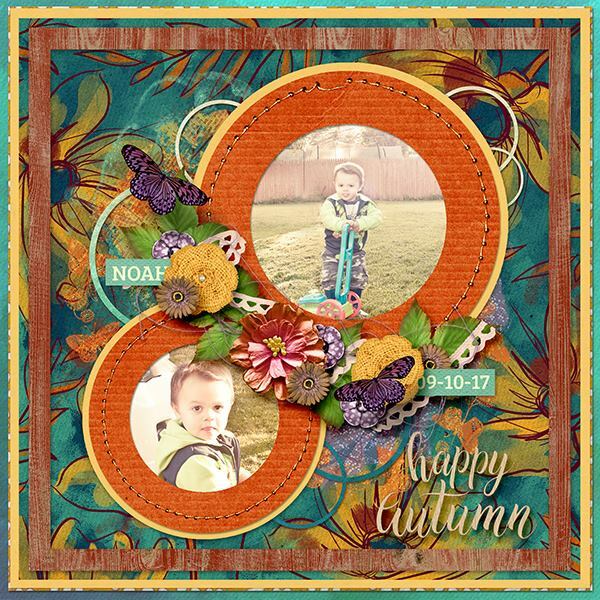 Michal also scrapped a lovely page using Jump Start Designs new kit, Autumnlicious. How perfect a fit is that?! 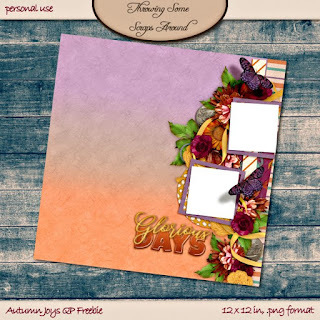 Jodi's used our DSD freebie for this absolutely beautiful page with our new templates! 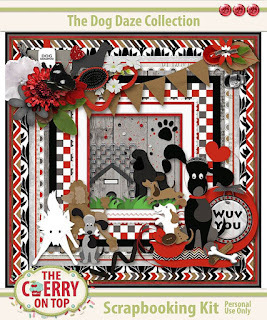 Keep scrolling to see this weekend's freebie! See how she used her papers? It makes the page flow so nicely and it isn't too busy either. Jump over to our store and take advantage of our final sale of the year! Here are a few of goodies in the shop that might interest though. The ENTIRE shop is on sale. Each preview is linked up to the shop for easy reference. 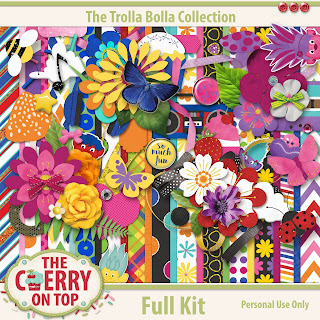 Trolla Bolla papers and embellishments are sold separately. The PuurFect Collection is also ALL sold separately. 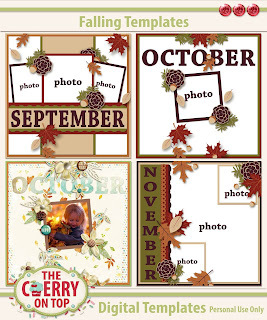 I've got a few new pages to show off using our Falling templates. 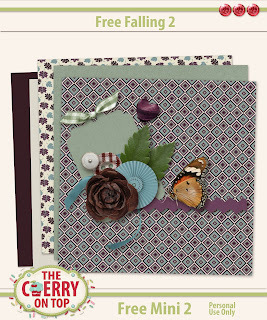 This one is mine using Aimee Harrison's stunning collection, October's Opal. I wanted to use the titles in the templates. They are so handy when titles and journaling isn't your thing. Magalie's pages are always extraordinary and I love seeing her beautiful daughters and their adventures, too. Hilary is killing our templates! She's like me and goes back to older templates she loves like our popular, Men In Mind templates. These are really fantastic when you don't want to use flowers, but your not sure what else the heck to use. Hehehe...I love the challenge, myself, but with our templates, there is no challenge. 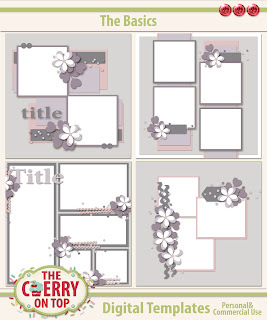 With templates, you can even use our shapes for your pages. 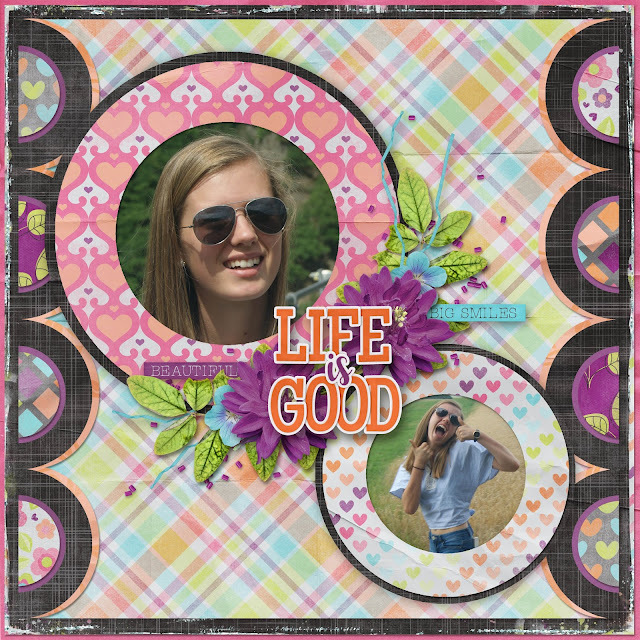 These project life kind of styled templates make scrapbooking really, really fast and easy. I love that. Especially, when you scrap as much as I do. 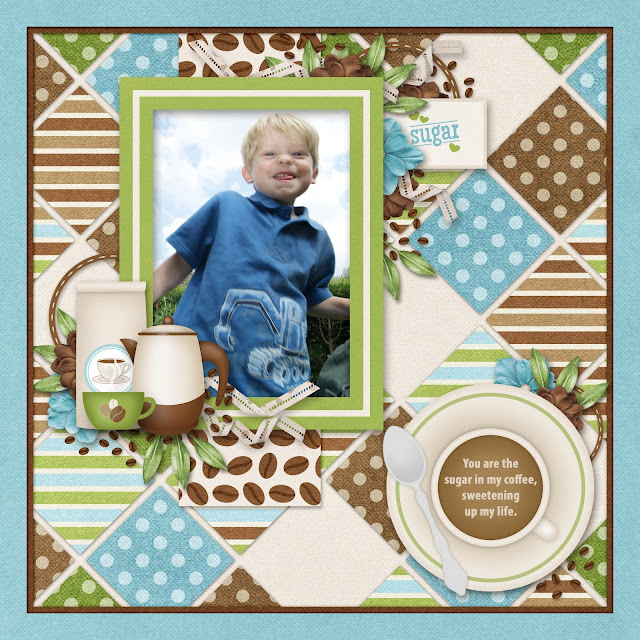 I've designed a free template for Kim Cameron Designs October challenge in the fan group on Facebook. 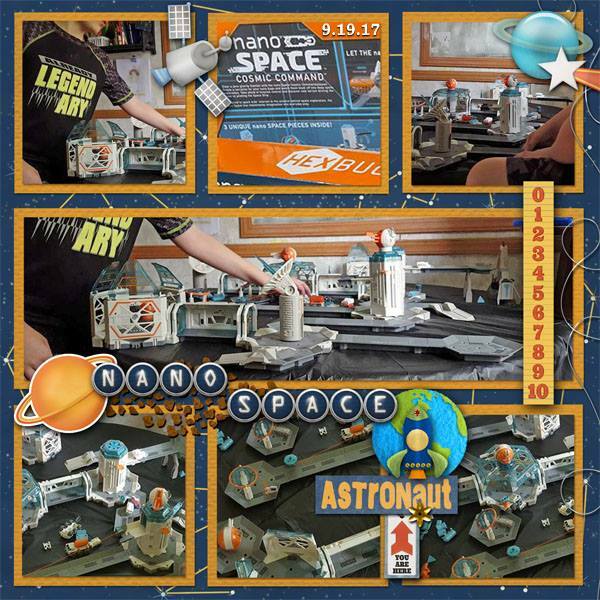 You can click on this image to get there and get the template and join the challenge. You don't have to use the template. I've been scrapping Kim's goodies like crazy. I'm SO glad I love her design! Hehehe... I'm not a big TV person, but I did see the potential of these templates and kit for photos that would totally work. Check out how I used them with a spin. Change the wording so it fits your needs. I used the marquee tool to get rid of the word "episode". It's just a few steps and it's gone. If ya don't know how to do this, I just so happened to make a video showing how to use the marquee tool. Check it out! I took all of those yummy treat embellishments and voila! 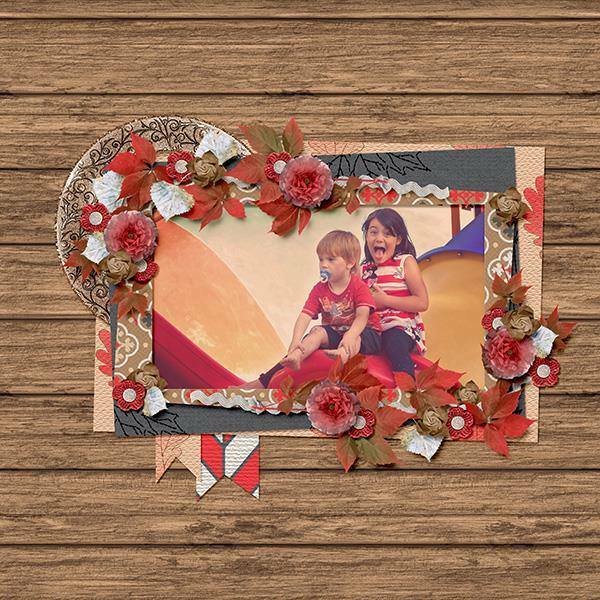 A super messy, cute page using a template and kit with a totally different theme in mind. 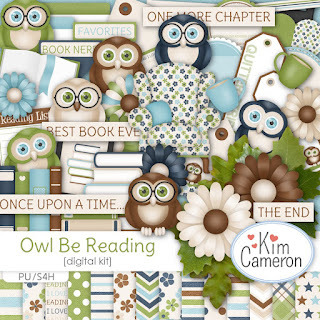 I changed the wording again to make the template fit with Kim's other kit, Owl Be Reading. Instead of using a book related photo, I did this. 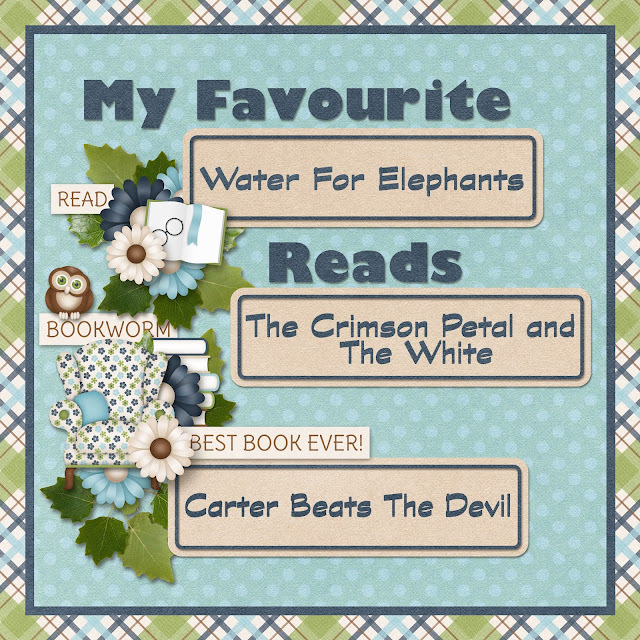 No photos and a short list of my top favourite books. Not easy! I'm an avid reader, but I am a picky one. I'm so in love with my next page and that little cutie, too. 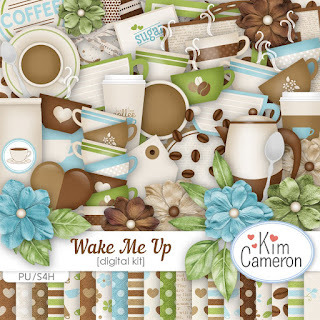 Hehehe...It's Kim's new kit, Wake Me Up and Aimee Harrison's Patterns A Plenty templates. It all just flowed right into place, but when ya have just the right papers, it all looks super, quickly. Yes! 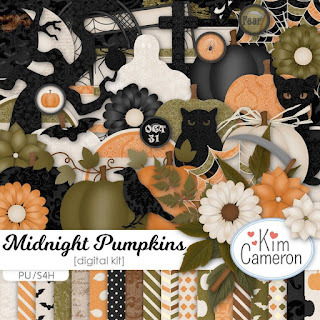 Yet more goodies from Kim Cameron! Hehehe... 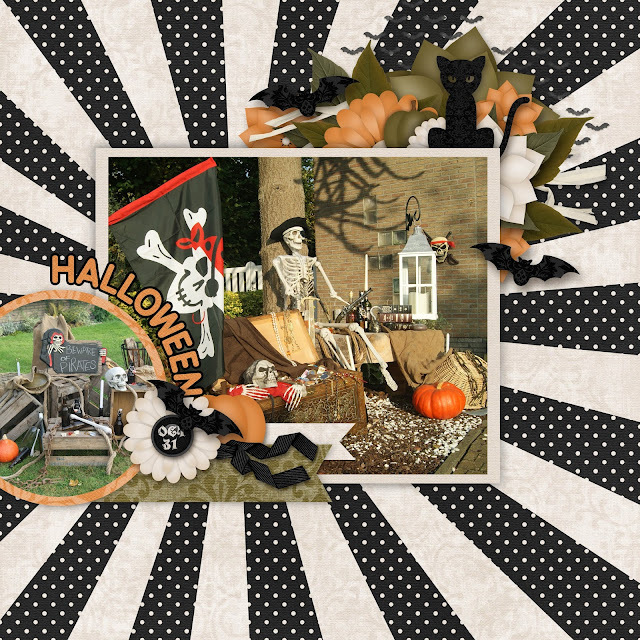 I'm totally loving this chic twist of Halloween. Even if you're not crazy about the holiday, it's still gorgeous for other themes. 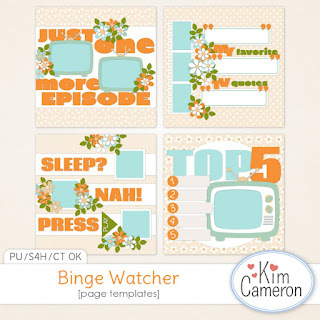 The templates and kit is Kim's. I'm always a fan of those star burst backgrounds. They draw all of the attention to the photo. 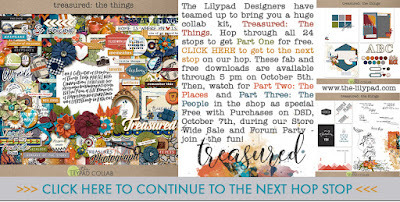 This is ALL free when you sign up for the right newsletters. I've got my eye on that fabulous 60's looking kit. The preview is linked up to Daisies and Dimples newsletter sign up. Kim's freebies look amazing, too. Her newsletter link sign up is below the preview. Sign up for Kim's newsletter by clicking on the above preview. Sign up for Daisies and Dimples newsletter here. 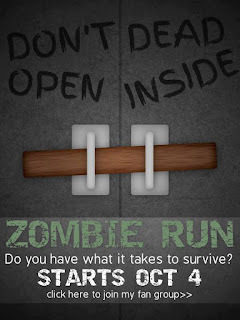 You'll also want to keep your eyes peeled for Kim's Zombie Run! This is done in her Facebook Group. Join us over there. I do the monthly challenges and Octobers' is going to be pretty cool. 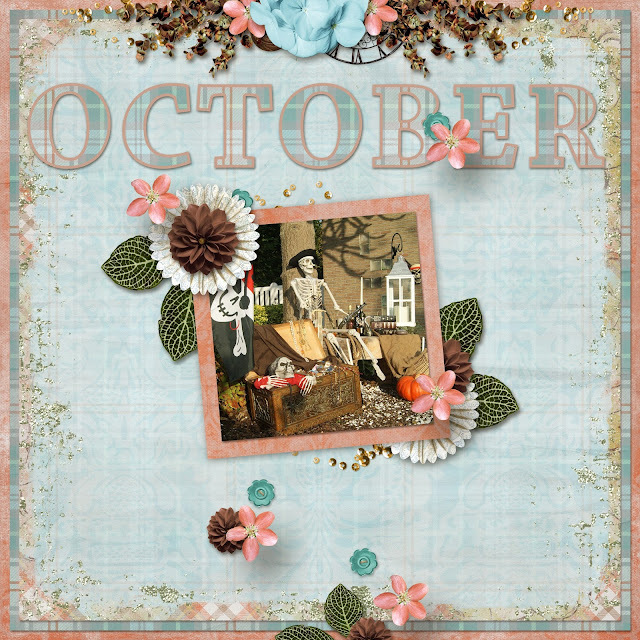 Look a bit further for the freebie for October. 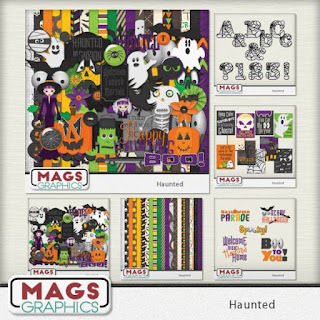 Moving on to MagsGraphics! She's got two new, awesome collections in her shops. This first one is Haunted. 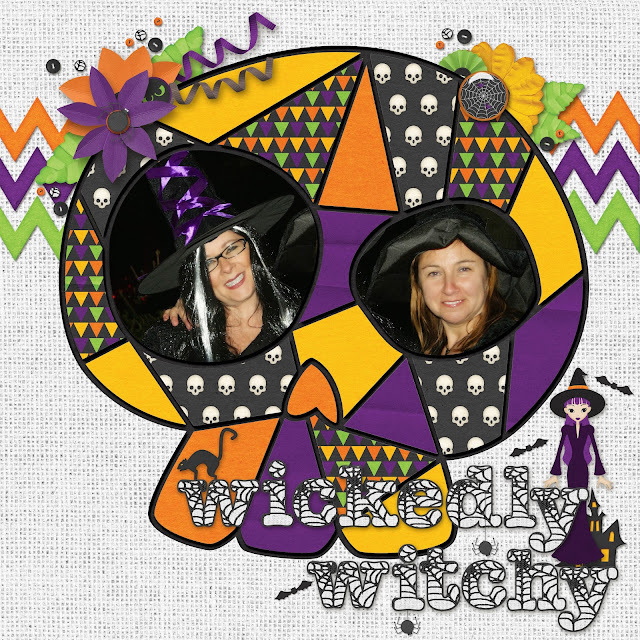 I love the traditional colours and that witch! I've designed this title or word art and she's going to have it for free in her Facebook Group where you can grab it. Keep those eyes peeled for it. Is the template not wicked?! Like totally wicked?! You bet your pretty little bum it is! made By Keuntje is going to spoil you for DSD. Are you catching my drift? 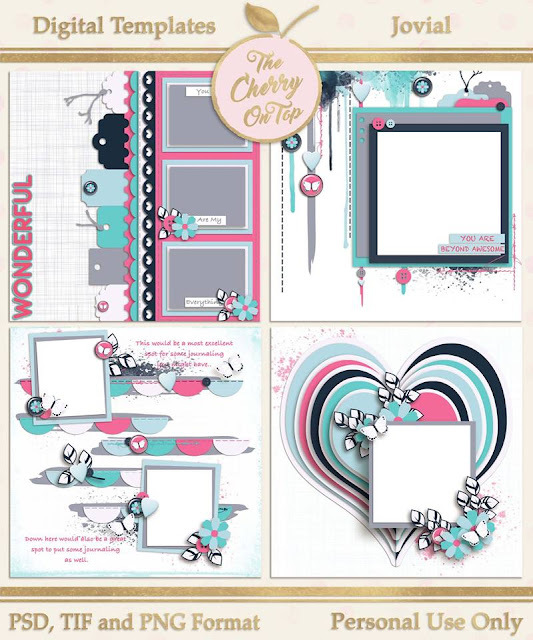 You will definitely want to stay tuned to Made By Keuntje for Digital Scrapbooking Day, this coming weekend. Eek! 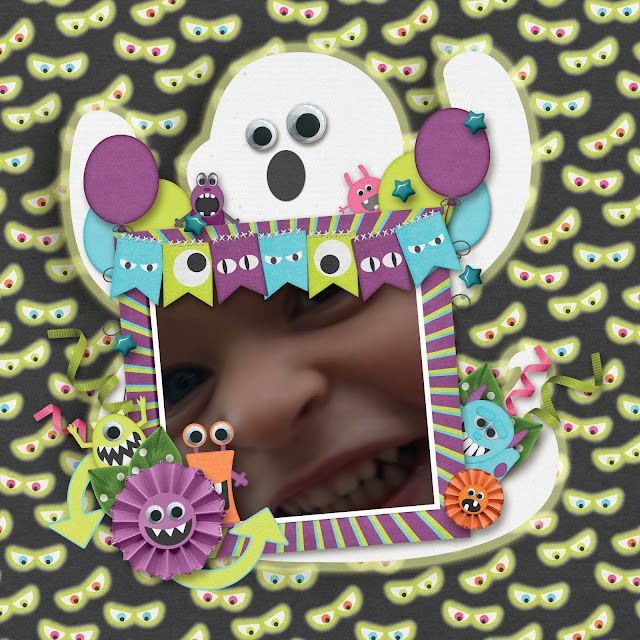 I LOVE, LOVE theselittle monsters in Maggie's new Little Monsters kit. They are so darn cute. I thin I used nearly all of them in this page. Hehehe... I used a nifty glow effect on my ghost to match the glow of the eyes on Maggie's paper. I also used an eyeball from one of Maggie's bellies to put on my ghost. It's also a part of Made By Keuntje's super templates. Are ya still with me? This is getting really, really good! I'll be offering these two coordinating mini's in my newsletter and in my group on Facebook for free. 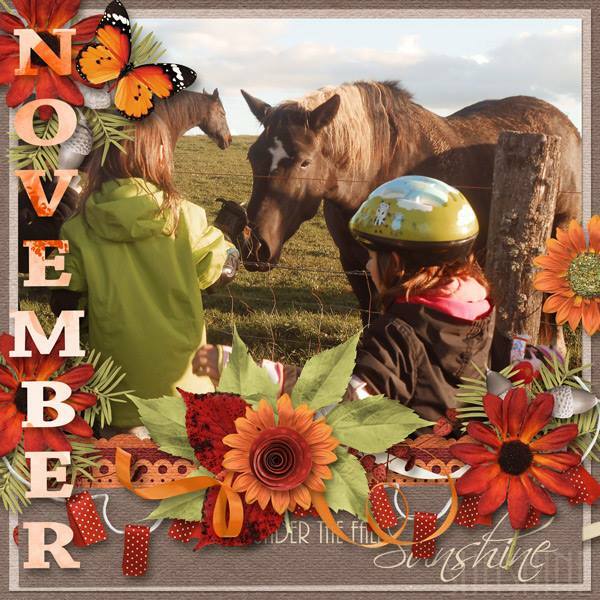 Make sure you are receiving the newsletter and that you're in our fun, scrappy group. You can do that right here, at the top of the blog, or via our Facebook Page. I told you Made By Keuntje was going to spoil you. 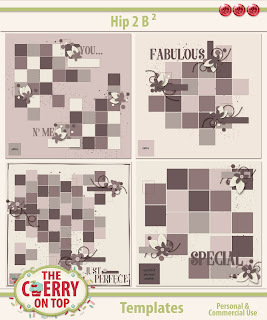 She's offering CHERRY FANS this unbelievably fantastic 50% discount on her Commercial Use goodies. I thought they were already an awesome price! Use that code, MBK-CU-50 to get these and other wonderful Commercial Use products. I'm loving her new patterned papers. Commercial Use products can also be used for your own Personal Use. 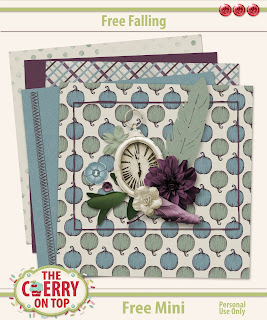 I used a few of her patterned papers in my new freebies. Check them out in the above previews. 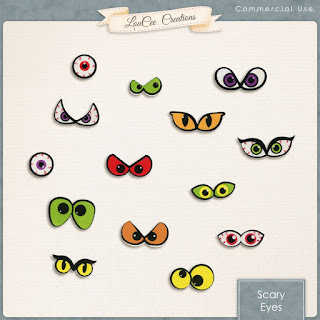 If you're a fan of Commercial Use, like me, check out LouCee Creations shop at SugarHillCo. She's been designing Commercial Use for a long time and she's got more, new goodies in the shop. You know I'm not going to make you read through this entire blog without having a treat for you. Check out these freebies around DigiLand AND I'm offering a free template that was exclusively for newsletters recipients, for a limited time. If you're not signed up for the newsletter, your missing out. This was originally for newsletter recipients. Make sure it isn't already in your downloads. This template coordinates with the other. Did you get this one from the blog? You might have them both so check your stash. This gorgeous mini is from Throwing Some Scraps Around. You'll find it in her group on Facebook. It's been there for a little bit, so make sure it's not already in your downloads. You may have to scroll a bit to get to it. Dana's made a beautiful page with it! You can also find this beauty in the group. The Lilypad is having a hop that's live until October 5th. You can still grab the goodies if you haven't already. It's pretty awesome! Shoo! Thank you for going through all of that. I hope it was worth your while. Feeling inspired? Ready to get scrapping? 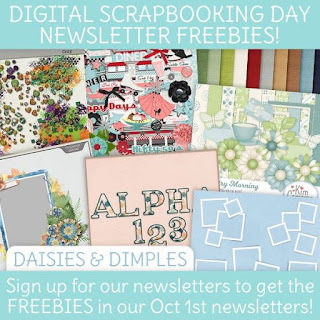 You've got tons of free stuff to scrapbook, now. 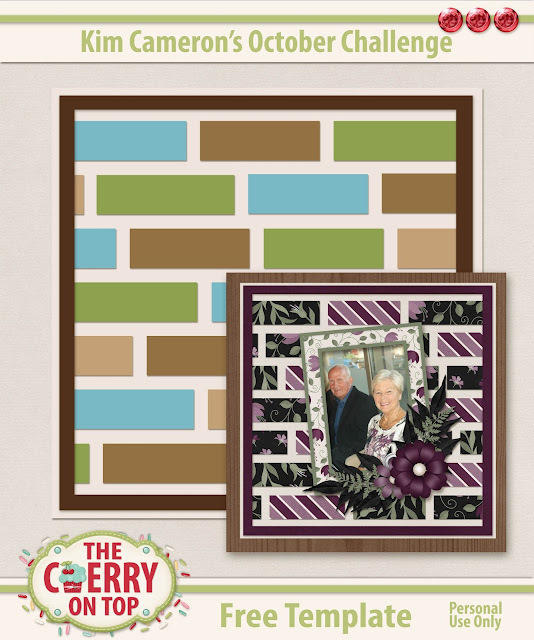 Enjoy Digital Scrapbooking Day and don't forget to take advantage of our shop's SALE. After you've scrapped, share your page here or in our group on Facebook. I'd love to see what you do.